JACLab is honored to partner with ACT Theatre in Seattle to present Munenori Takeda and Garrett Fisher in this groundbreaking performance for Seattle audiences. We also thank the following organizations and individuals for their generous support of this project. For more than 30 years, Cornish College of the Arts, through the Cornish Music Series, has presented an annual series of concerts and master classes featuring a wide-range of professional visiting artists and resident faculty. JACLab is honored to partner with Cornish College of the Arts in Seattle to present Hirokazu Fujii, master shamisen player, and head of Japan's Ginmeikai jiuta ensemble. 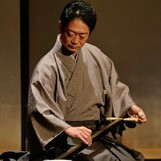 Hirokazu Fujii is a leading performer of the shamisen. 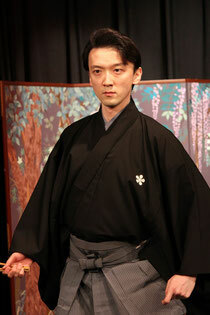 He is the iemoto of the Ginmeikai School, whose members play as an ensemble of koto and shamisen in the jiuta style. 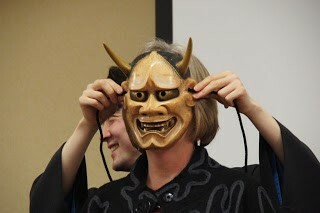 He holds a Masters' Degree from the Tokyo University of The Arts and is Chairman of the Ginmekai School, a Councilor of the Japan Sankyoku Association, and Assistant Director of the Ikuta School. He has received awards from NHK, and the Office of Culture of Japan. Passionate about sharing the beauty of jiuta, he teaches in eight cities and performs regularly on TV and radio, and has toured the United States, Canada and Europe. This is a rare chance to see a jiuta performer of this caliber perform in Seattle. 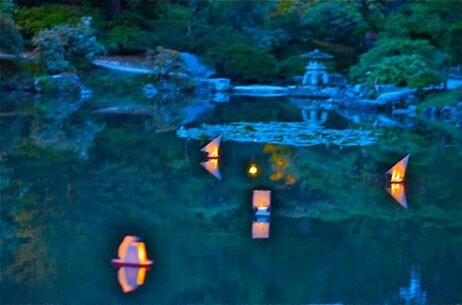 Jiuta can be considered one of the most distinctive styles of music in the pleasure quarters of Kyoto and Osaka, the world described in the novel, "Memoirs of a Geisha." Jiuta features the shamisen and in olden days many of the players of jiuta shamisen were blind musicians. From the early 18th century, occasions for shamisen to play together with koto became common and now, there is a very close relationship between koto and Jiuta. 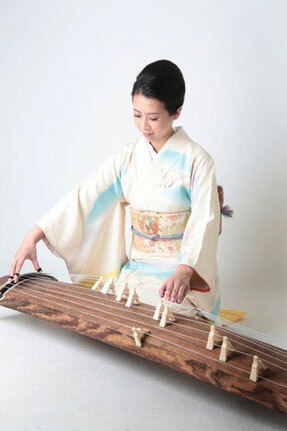 For koto musicians of the Ikuta School living in Kansai, playing Jiuta is an important part of their work. 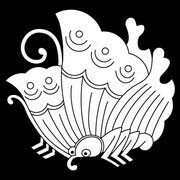 The family crest of Hirokazu Fujii of the Ginmeikai School. Hirokazu Fujii. Highly recommended for koto, shamisen, and shakuhachi players and students. JACLab is pleased to present Sawa Fujii and her beautiful contemporary koto music for the first time in Seattle. In keeping with JACLab's mission to bring Japan's clasical arts to the general public, we have arranged for a series of performances by this master koto player at various community venues. Free Admission. Suggested donation of $10 at the door. 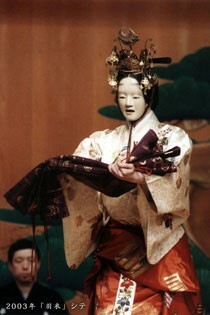 JACLab is excited to be bringing Noh master Munenori Takeda back to Seattle. He will be presenting a joint preview with Fisher Ensemble of their upcoming Noh double-bill performance slated for September 2014 at ACT Theatre. Don't miss this sneak peek of a beautiful, groundbreaking and innovative collaboration between one of Japan's best young Noh masters and Seattle's very own Fisher Ensemble. 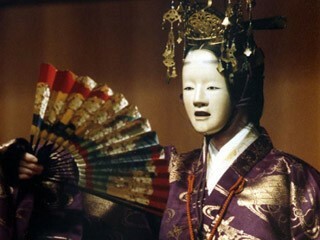 The March 14, 2014 Noh double-bill preview will include selections from the traditional Noh play, Tomoe, alongside excerpts from Garrett Fisher's Noh-inspired opera Kakitsubata. The March performance will be held at ACT Theatre's intimate venue, Bullitt Cabaret. Seats are limited so please contact info@jaclab.org by March 8th if you wish to reserve seats for you and your group. There will be a post-preview reception from approximately 8:15 pm - 9:00 pm so that guests and members of the press can meet Munenori Takeda and Garrett Fisher.